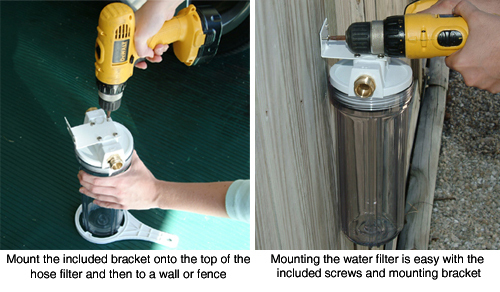 The Clean Water Filter Kit includes everything you need for a one-step, in-line filtration system. Unfiltered water from an outdoor spigot can contain a number of things you wouldn’t knowingly put on your vehicle. Yet, without any type of filtration system, you are washing your vehicle in unclean water. 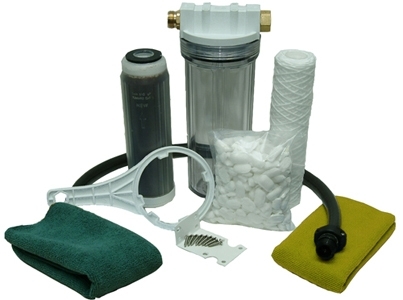 The Clean Water Filter Kit makes owning an in-line filter practical for the hobbyist. There’s no guesswork. 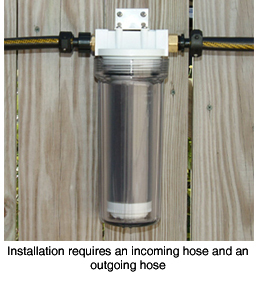 When you receive the kit, simply connect the included 2 ft hose to the spigot and the hose adapter labeled “in” on the filter unit. 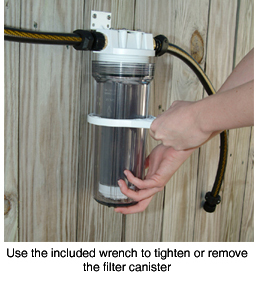 Connect your standard Inline hose to the “out” side of the filter. Insert either of the included cartridges, screw the base back onto the lid and start washing. 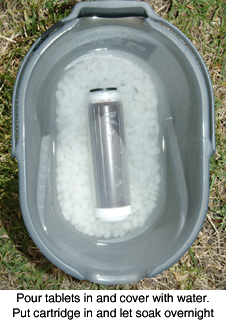 The Clean Water Filter Kit is your solution to water spots and micro-marring produced during washing. Remember, if you’re washing your vehicle with unfiltered water, you could unknowingly be pouring hard water scale or sediment on the paint finish. This simple, in-line filtration system is an easy way to eliminate the threat of unclean wash water. A total retail value of $111.93. Save $16.93!